Post subject: January meeting and Show in Kalamazoo! There's a big development that has just fell our way! Brian Galloup contacted me and asked that I put the word out about this great chance for our group to take part in a Guitar Show/Exhibit and also make it a two-day winter meeting with some demos and other things. The venue for this Event is the Hyatt Hotel in Kalamazoo. They are having a two-day musical event with some of the best national acts, and they also have been doing a little bit of exhibiting in the past years but now they have offered to expand, and include our entire group! They have given us a large room to use, Brian thinks we could fit forty builders in there, and tables will cost 30 bucks each. That is the only cost, outside of your overnight expenses (the Hyatt offers a discount, but it's still not cheap to stay there). For a weekend pass to hear ALL of the music, you can buy one of those for 20 bucks (for a whole weekend of nationally-known talent!!?). This event is called "Cooper's Glen", this is the only link I can find right now- http://www.coopersglen.com/index.html It looks like a good festival and a good chance for us. Obviously there will be questions, and we will want more details. But the best thing you all can do right now is jump in and tell me who wants to get in on it! Jump in with a YES if you want to come. Ok, more details...I just talked to Bryan who is still getting this together. He said that the venue is excited about having us and willing to help out, they are waiving the 20.00 music ticket fee, and giving two all-access passes per 30.00 table ticket! That is fantastic. For anyone who wants to register, you need to call Bryan or Susan at Galloup Guitars, (800) 278-0089. And like a dummy I forgot to post the date- this is January 9th and 10th. Very cool Mark and thanks to you and Bryan for putting this together!!! Mark, count me in. Sounds like fun! Don't know if I'll be able to make it, but it sure sounds cool! I was hoping the momentum might continue after the gathering in September. I had the sincere pleasure of receiving a call from Bryan this morning and Bryan wanted to talk to me about the Kalamazoo gathering. What this gathering is first and foremost is a Luthier gathering much like what we did in Ann Arbor a couple of months ago. There will be an opportunity for those that wish to purchase a table ($30) and exhibit/sell your guitars to the folks attending the music festival but this is optional and not required. Bryan wants to have Luthier presentations for and to the group as well. If you are interested in giving a presentation please contact Bryan. Wood vendors or any vendor serving the Luthier community is welcome as well and tables will be available to you if you wish. For those who are interested in selling guitars and wood this opportunity is available to you. But again this is a Luthier gathering so if you are just interested in hanging out with and meeting other Luthiers this is really what this gathering is all about. This is too cool, I will certainly attend, though might not get a table, a thought might be to have a area for hobby luthiers to display their work, and even some partially completed guitars and parts might be of interest to people attending. Fred my friend that would be very interesting to folks and you don't have to be selling to have a table. In order to take advantage of the two free all access passes for the weekend music festival you have to have a table. So look at it like this………instead of paying $50 for limited passes for two, you get two all access passes for $30 (a savings of $20) and a table for free to eat lunch at or what ever. Although something related to Lutherie would be nice. George Carlin said it best……….a place for your stuff………..so you can walk around, tell lies and have a beer. 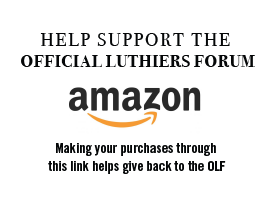 Don’t be shy, they are behind us on this one……..they actually like Luthiers and want to support what we're trying to do. It's a two day event and they would like to see try to make a weekend of our thing to. I’m guessing we can find a way to talk guitar for a couple of days. I say we give it a go. Hesh, thanks for posting this. Bryan and I chatted on Monday about this event. It sounds like it could be a very cool annual thing! It will be held in conjunction with the Coopers Glen music festival. So there should be plenty of guitar enthusiasts there! way to show folks that Michigan has a thriving Lutherie Community! I have it marked on my calendar! I would consider getting a table if I can promote my business Up North Strings, mostly sell violin family. I am assuming there is good security in the booth area, not that I would bring a Strad, but you know...? 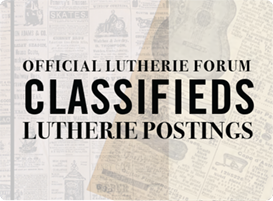 You can promote your building and repair business in relationship to lutherie, but there is a separate area for music stores. Hey Bryan it's good to see you made it oiver here. I can't wait for this event, I have to try and finish an octave mandolin to bring with me. Ok, then what if I do both? I really don't have a store per se. My shop is in my residence, where I sell instruments that I don't make but I also repair and make instruments, mostly double bass. I wouldn't be bringing a bunch of violins to sell there, maybe just one or two to show the lines I carry. I won't have things to sell and a card reader or anything like that. 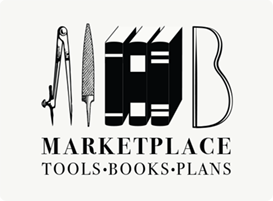 I guess I would prefer to be with the makers/luthiers if that is OK and my booth will exhibit a couple nice violins, maybe a cello and some bows plus a handmade double bass. The promoters of this venue want this room to be for luthiers to show their instruments and to offer something educational for the public. Tonewood and part suppliers have always fit in with this group so they are included. This meeting is for Luthiers to promote Lutherie and hang out with each other and trade secrets. If you were selling a line of instruments you don’t make you would be considered retail. I do not know about the retail end of it, you would have to contact the promoters. You’re still welcome to come down, bring one of your double basses. This meeting is for Luthiers to promote Lutherie and hang out with each other and trade secrets. ..
Oh, I guess I misunderstood. I will have to think about it then. I would love to hear Daisy Mae, she is truly remarkable. And looks like a bunch of other good folks. It would seem that there would still be a way to promote your business. 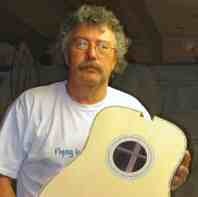 I have seen Luthiers show up at shows with nothing more than parts of what they are building and do just fine. People love instruments half put together. Business cards and general promo stuff about your shop is cool. I hope you show, I enjoyed your arch top demo last year. I also enjoyed the meeting at your place and the great tour. Best of all I can spend some time with a bunch of luthiers, musicians and music lovers. In fact it rings better than promo. So very likely I will plan on going. Thanks for the invite. You can count me in too. We had a great time in Ann Harbor. I looking forward to seeing everyone again. When and to who must we send the $30.00 for a table. OK, it’s time to start rounding up the troops. E-mail Susan at bryan@galloupguitars.com and me at luthier@galloupguitar.com to get on the Great Lakes Luthiers Guild list for the January show in Kalamazoo. I will have the payment info by the end of the week. 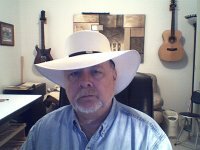 The 800 number listed above does connect from Canada, I would like a table but since I do this as a hobby I do not want to take the opportunity away from guys who make a living building guitars, so if a pro needs the table I will happily stand aside.